A very nice show this year with an observed good size crowd. The Ben E. Clement Mineral Museum display was great with Ben Clement's son hosting the display. 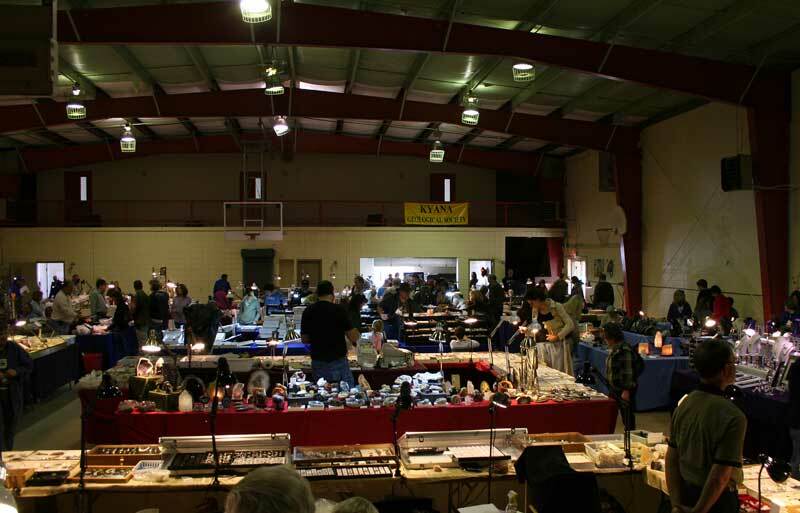 My pictures of specimens from the show are limited to minerals. The tables I looked at had trilobite fossils from Morocco and fish from the Green River Formation. I saw some Ordovician trilobites as well. Lots of jewelry, polished rocks, and mineral specimens were on display. 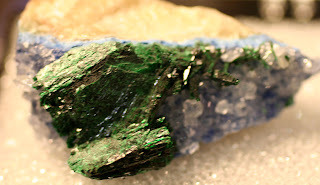 This next picture is of a malachite with azurite specimen collected in Namibia, Africa. A very friendly dealer let me take its picture. A mistake by me in not getting his contact information. His mineral specimens were very nice. These last two pictures show specimens from the Ben E. Clement Mineral Museum display. Mr. Clement was very kind in letting me take pictures and informative in describing fluorite. Fluorite is known for is use as a flux in steel making, production of hydrofluoric acid, and fluorine for dental use. One aspect that is probably not known is its use in American nuclear weapons production. 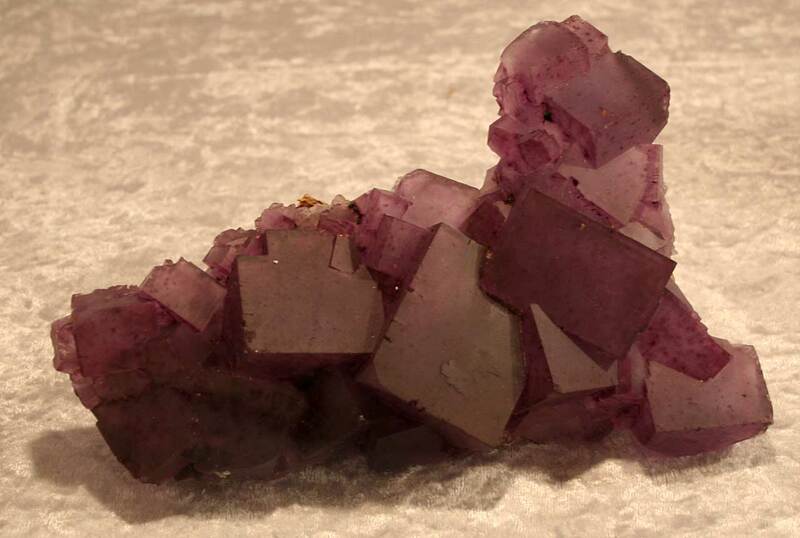 During World War II, the mines were getting orders for fluorite that was being shipped to Oak Ridge Tennessee. 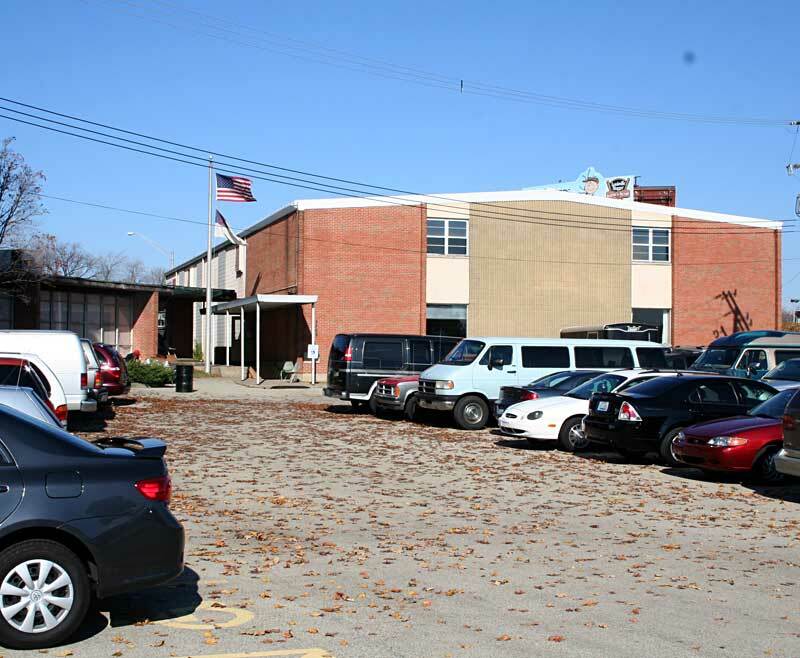 It was thought to be for steel production but it was being used for production of uranium 235 and plutonium 238. 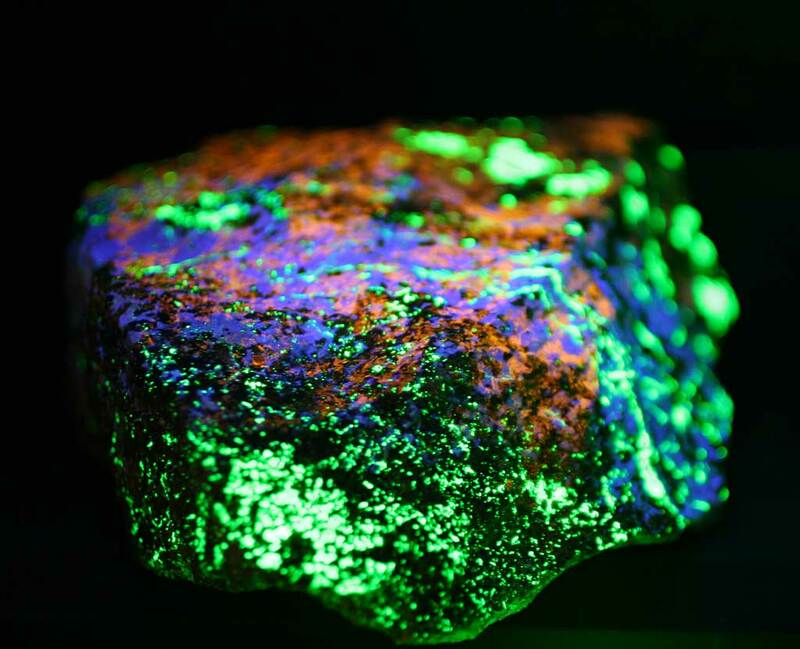 The picture above is of a fluorescent mineral from Franklin, New Jersey illuminated with UV light.